If you’re choosing your kitchen worktop, there are a whole range of materials to pick from, but how about your cabinets? Would you consider plywood? Just the mere mention of plywood kitchens is enough to conjure up all sorts of thoughts and images in your mind. But if I were to tell you that this often overlooked material is making a comeback, would you actually believe me? Yes, it’s true. According to the Telegraph’s Decorating Hot List, the hottest material now gracing designer kitchens in the capital is plywood. But why are plywood kitchens suddenly all the rage? We take a closer look. Generally, when it comes to buying a standard fitted kitchen, the majority of us opt for units made from engineered wood, or MDF (Micro Density Fibrewood) as it is most commonly known. Virtually all of us have some form of MDF furniture in our own homes, and with good reason. MDF can is a cheap alternative to other forms of hardwood. It can be shaped easily, leaving no knots or grains, and can be painted easily, producing a whole host of coloured or wood effect finishes. Plywood kitchens allow you to show off distinctive edging. 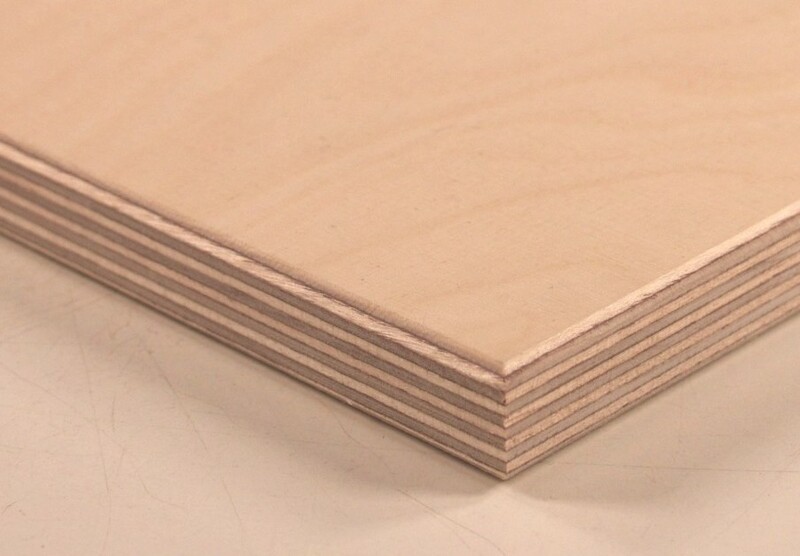 Plywood comes from the same family of engineered woods as MDF, but where it differs is in its construction. A number of thin wood veneers are glued together, with their alternating grains rotated by 90 degrees each time. Whilst plywood can contain soft wood or hard wood, it can also contain any number of veneers of any thickness, so it is a highly versatile material, making plywood kitchens a very real and easy solution. Plywood kitchens: What’s the attraction? Although not a very common kitchen material, when used in cabinetry, plywood can produce a more playful look than MDF, giving your furniture a much more modern, crafted appearance. By leaving the plywood layers on display for all to see, it can certainly add an extra dimension to your kitchen decor. This material also allows you to use traditional plywood joints, which can look highly decorative, creating a fun and vibrant feel, rather than something which is a little cold and devoid of character. Another great thing about plywood is that, depending on the number of layers of veneer you use, it can be quite lightweight when compared to other materials. This means you could even construct moveable cabinets on wheels, which are perfect if you’re looking to create a multifunctional kitchen space. Of course, when it comes to choosing your worktop, it pays to invest in a quality addition. A laminate kitchen worktop is an ideal accompaniment to plywood cabinets and units. Strength is a key consideration, as your units need to be strong enough to support the weight of your kitchen worktop. Thankfully laminate kitchen worktops that sit directly above plywood cabinets, are relatively light, so work well. If you are going for a bold and vibrant colour scheme, worktops in matching colours are available. However, it may pay to keep the finish of your worktop slightly more plain, so as not to take distract from the decorative edges and joints that plywood kitchens can bring.